Inspiration to impress at your next summer party! With brighter and warmer days just on the horizon, our social calendars are about to be filled with parties, weddings, soirées and BBQs, providing the perfect opportunity to wear fancy hairstyles to instantly impress. After all, summer is the perfect time to experiment with a host of playful looks that help capture the essence of the sunny months. So, if you’re looking for some hair inspiration to get noticed at your next summer event, you’re certainly in the right place! Here are 3 pretty ‘dos that are super easy to style. Playful, fun and perfect for injecting a generous dose of girly-girl vibes to your favourite summer ensembles, the hair bow will, for sure, add an exciting edge to your look. First, take a section of hair on each side of your head, making sure that they are the same length (approximately 1.5 inches on both sides). Pull them to the back of your head and tie them together to create a half up, half down ponytail. Don’t pull the ends all the way through the elastic the final time you wrap the band around your hair: instead, leave your hair pulled half-way through to create a loop. Split the loop in half and secure each side with two bobby pins to create a bow shape. 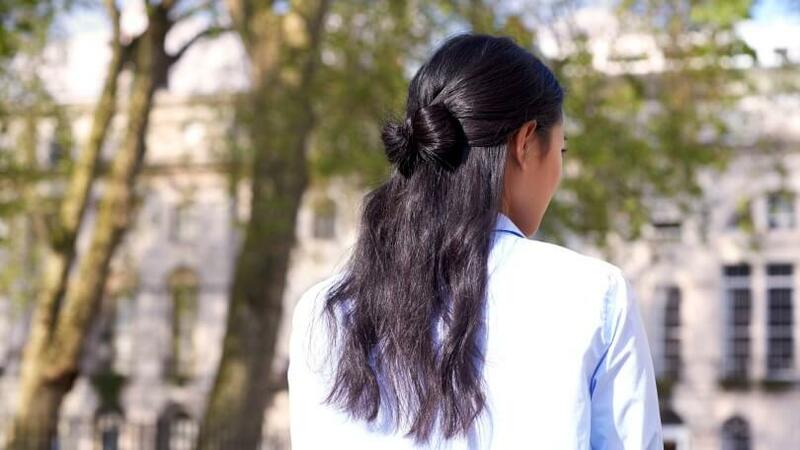 Wrap the tail of your half up, half down ponytail around the middle of your bow shape and secure it with some more bobby pins and a spritz of the Toni&Guy Casual Flexible Hold Hairspray (£7.49*). Psst: see our step-by-step tutorial on creating a full bow bun here! Fancy hairstyles: The messy ponytail. Don’t think a ponytail ranks among fancy hairstyles? We beg to differ: there’s something about a messy ponytail that just screams summer, and we think its undone charm is the perfect accompaniment to a fancy summer frock. 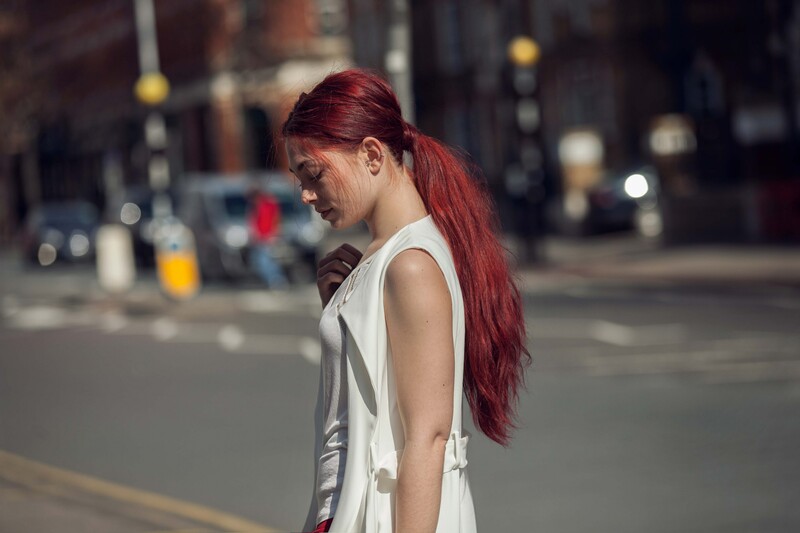 Not only is a messy ponytail effortlessly stylish, it instantly exudes romance and feminine vibes. You’ll need to start by flipping your hair upside down, whipping it back up as quickly as you can to give it a boost of volume. If you’re prone to flat, limp hair, apply the Dove Advanced Hair Series Oxygen Moisture Root Lift Spray (£6.99*). Its oxygen and moisture system gives hair up to 95% more volume**! Backcomb your hair at the top, then gather your locks into a ponytail at the nape of your neck. Finally, take a section of hair from your pony and wrap it around the base to hide the hair band. The key to this trend is to make your ponytail look messy without a just-got-out-of-bed effect. For a laid-back look, strategically pull a few sections of hair around your face, from either side of your head. See our step-by-step guide to creating the look here! Many fancy hairstyles boast braids. In fact, adding a plait is the ideal way to inject some playful charm into your summer look. And let’s face it, when you pair your braids together with a bun, you know it’s going to go down a treat! First of all, start by securing your hair in a tight ponytail. You can go for a messy or polished look – it’s entirely up to you – and you can choose to have a high or low version, too. Once you’re happy with the position of your pony, divide it into 2 separate sections, and plait each piece in a classic three-strand braid. 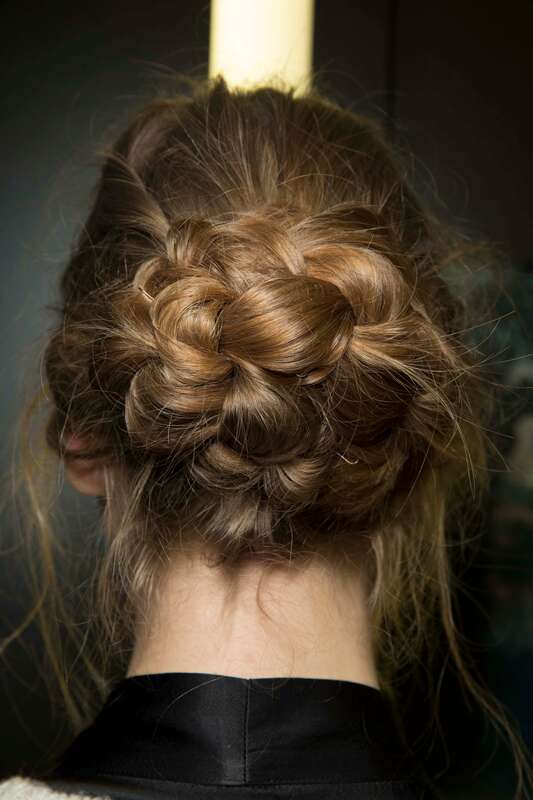 Then twist your braids together into a bun and pin it in place with bobby pins. Use a good spritz of VO5 Classic Styling Firm Hold Hairspray (£2.99*) to secure the look. So there you go: 3 quick and easy fancy hairstyles to instantly impress at summer parties! ** Freshly washed hair treated with Dove Advanced Hair Series Oxygen & Moisture Root Lift Spray versus unwashed hair. 5 Quick and easy everyday hairstyles for the morning rush!